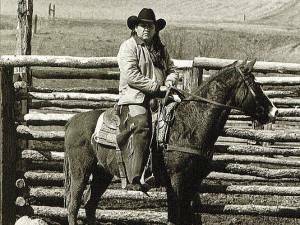 Cowboy poet, Crow Indian, Montana’s Poet Laureate – in 2010, Henry Real Bird rode 415 miles on horseback through western North Dakota and northern Montana, handing out books of poetry and connecting with people along the way. Click on the player at the end of each program synopsis to listen online. Of the West is a SWEETGRASS MUSIC production.